9/07/05 - And it\'s a good day. So good that soon we gamers are about to get their grubby little fingers on Square-Enix\'s Radiata Stories and Ubisoft\'s Rainbow Six: Lockdown. We here at GamesFirst! have an affinity for all things regarding killing terrorists and monsters, it\'s as if we were all born with MP5s and longswords in our infantile hands. Our poor mothers. 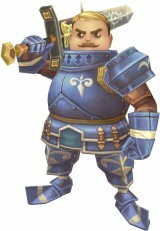 In Radiata Stories, all the characters live their own lives apart from the player. They have systems and deadlines and drama. The protagonists, Jack and Ridley, have to choose their sides when the men of Radiata go to war against magical fairy creatures. Battles let you command your party with your main character and set up \"links\" to dispatch your foes. In fully 3D environments, you can recruit up to 175 characters to aid you in your quest, much in the spirit of Suikoden. And yes, you can literally kick everyone and everything. Huzzah! In Lockdown Team Rainbow faces one of their most dangerous threats: bioterrorism. Ding and Dieter are back (and a few other notworthies) to once again lay the Freedom-smackdown on terrorists. This time around Ubisoft has retooled the interface - making it nice and slick - and made each character a bit tougher capturing a more action-oriented style of gameplay. Yes, headshots are still lethal, but your torso has been re-buffed, in a manner of speaking. The PS2 version has a new Rivalry mode. But both feature all the multiplayer of its younger brother R6:3. \'Lockdown\' is going to be our next GF diversion - taking the place of Ghost Recon: Summit Strike. There\'s something about killing terrorists that makes us really happy. Look for both titles to hit stores Thursday. Radiata Stories is Rated \"T\" for Teen. Rainbow Six: Lockdown is rated \"M\" for mature. Both titles are selling for $49.99.